If you want to drink alcohol and avoid gaining weight it’s a good idea to avoid beer (malt sugar) and sweet drinks (sugar). Wine and pure liquor, such as whisky or brandy, are better choices. All wines are not equally good: red wines and dry white wines (as well as dry champagne) usually contain the least amount of sugar. Mahesh, what are the contradictions in your opinion? LT are 800 calories and have sugar in them! My favorite is Grey Goose (GG) vodka stored in the freezer (it doesn't freeze but it is below freezing when you pour it), a full, very large glass of ice and Diet Sierra Mist (DSM), chilled, combined 50% GG and 50% DSM. Stir before drinking. This glass holds about 5 shots of vodka and about an equal amount of DSM. Use Diet 7 UP or Sprite Zero as substitutes as needed. Refill as necessary. Eat less than 20Grams of Carbohydrates per day. When I was in college 18 was drinking age. I drank whiskey diet and diet Pepsi and could lose 6 lbs a nite. WAHOO. Was on the Atkins diet too.Lost lots of weight and kept it off. Don't drink anymore.but those were fun times. Reply to #54 If you're drinking 5-9 shots of alcohol every night, you may have a problem bigger than weight loss, my friend. It's good to know that I can enjoy drinking occassionally and I'm pretty good at eating less than 20g of carbs a day if I want. This diet keeps me so full I have to remind myself to eat or eat a couple of boiled eggs (or string cheese) after 4 hours from last meal just to say I did eat. Loving this new diet! I would stop drinking completely in hopes of losing weight and didn't realize that the low fat and low carbs were killing me due to too much protein spiking insulin. Talk about reinventing myself!!! So basically, if a 500ml beer contains ~10 grams of carbohydrates ( 100ml~2.2grams), that means we are limited at one beer a day? Giving the fact that we have to stay under the 20grams of carbs and we cannot consider 2 beers a day, due to other carb intake from other low carb foods. Am I right? DietDoctor is this correct? TRY THIS: a moderate "shot" of gin/vodka, LACROIX flavored water, and any piece of fruit (frozen if possible) = lower carb & sugar! And far less chance of the dreaded "hangover" you can get from wine. FOR BEER: I tend to agree with fellow beer lovers, if you're going to go beer, go good! Pour it over a glass of ice, and it'll last longer, decreasing your overall consumption. Add a citrus squeeze for summer -- lemon, lime, grapefruit, orange. WINE: Dry is always better, red or white. Ditto with ice, and lime wedge in red, lemon in white, for summer. Can add a splash of LACROIX too. Check vodka recipes on YouTube and you will see that it's made with tons of sugar. I always had a flat belly and now I am starting to have a little belly because I drink too much vodka. Is it possible to make alcohol without using so much sugar? My favorite drink is Irish Mist on the rocks. I guess I need to kiss that good-bye as it contains a TON of sugar. It says it's a honey whiskey but... honey I would assume is better than processed white sugar but still, if I'm supposed to avoid fruit because of natural sugar content, I can't imagine that honey is any better than that. Bummer. If you drink good red wine, why would you pour it over ice and to add insult to injury, add a lime wedge? Also, what hangover do you get from, again, good red wine? Quality is a good thing. Don't waste money on cheap wine; you'll thank me later. People are confusing sugar with carbohydrates. Liquor such as vodka have zero sugar, but does have carbohydrates. The carbs come from starches since vodka is made from potatoes, grains, etc. Very interesting, tony. I don't want to drink quite that much every day, but I'm pretty loath to kiss my nightly wine goodbye. I've heard of other people doing well with their nightcaps, so I'll probably hang onto this one vice for now. The French do (and eat carbs), and they're doing pretty well. I'm fine with sacrificing carbs and sugar, but not my wine. Please, no. Also, I know that I won't stick with any sort of "lifestyle change" if it makes me feel guilty or deprived. Apart from the alcohol, I love this diet. I may just try it out and see how it goes. The large spike of insulin is the reason to avoid carbs. A fatty liver caused by excess carbs or alcohol looks the same…. Alcohol spikes insulin. How can alcohol be part of a healthy diet? Organic wine is great. No hangover at all. So is there anything that does not contain carbs or sugars.. of at least low ?? 36 I found out I was diabetic. Something really refreshing on a hot day is a sugar free Mojito. You muddle the fresh mint leaves and lime, no simple syrup of course, add rum, (or vodka if you prefer) add ice and shake, then add a few splashes of soda water. Yum! By coïncidence, I tried to make a sugar free mojito last week and it was really delicious ! I used the same recipe with a good quality white rum, but I want to try it also with vodka or tequila. When I first started LCHF I dropped my nightly glass of wine. Then, in an attempt to remain below 20 grams of carbs I tried having vodka, seltzer and lime or lemon. What I found was my taste buds changed. When I came back to sipping wine, my usual chardonnay started tasting rather heavy and slightly sweet to me, so I switched to a lighter tasting pinot grigio. 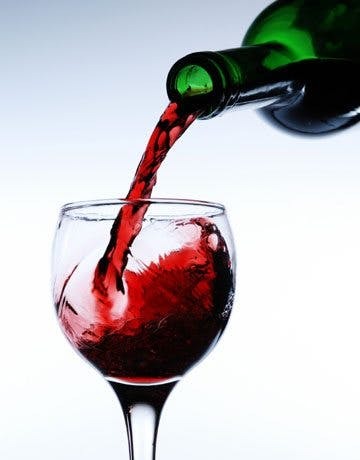 Hubby keeps telling me I should come over to the dark side (drinking red wines), but I’m just not a red drinker. My occasional pinot grigio is fitting the bill for now. The change in wines and the change in coffee (no longer adding sugar), are two major changes for me. Everything else is smooth sailing. Not supposed to put spirits in he freezer.